Dr. Goldstein is a board-certified ophthalmologist with additional fellowship training in Ophthalmic Plastic and Reconstructive Eyelid and Facial Surgery. He is a Phi Beta Kappa graduate of Duke University and received his Medical Degree from Duke University School of Medicine. He completed his internship at the Tucson Medical Center in Tucson, Arizona, and his residency in ophthalmology at Emory University in Atlanta, Georgia. He then completed a two-year American Society of Ophthalmic Plastic and Reconstructive Eyelid and Facial Surgery at the University of Pennsylvania. He is an Assistant Consulting Professor of Ophthalmology at Duke University Medical Center. 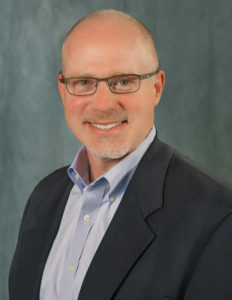 Dr. Goldstein joined Asheville Eye Associates in 2000. 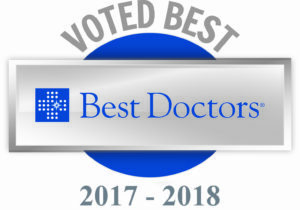 Dr. Goldstein was named among the Best Doctors in America for 2017-2018 by Best Doctors, Inc., a survey of more than 45,000 doctors in America. Recognized by his peers as an outstanding expert in ophthalmology, Dr. Goldstein is among only 5% of physicians in the U.S. selected for this prestigious honor. Dr. Goldstein was first selected as one of the Best Doctors in America in 2009. Dr. Goldstein and his wife and three children enjoy fishing, hiking, gardening and travel. They selected Asheville as their home to be near family.